Aluminium Bahrain (Alba) has announced it is accelerating early works on the Line 6 Expansion Project to meet schedules and stay on track. A statement to the effect was made by its chairman Shaikh Daij Bin Salman Bin Daij Al Khalifa following the second quarterly meeting of the board. Ascorel Middle East, a venture between Dubai-based KBW Investments and French manufacturer Ascorel Group, is set to begin operations next month in the UAE. The new company will facilitate the sale, implementation, and distribution of Ascorel’s products dedicated to the heavy machinery segment in the region. US engineering firm Bechtel will continue rendering management services at Jubail and Ras Al Khair industrial cities. 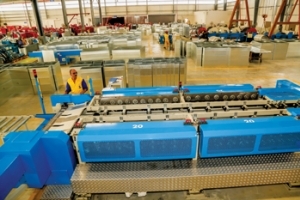 The company signed a contract extension with the Royal Commission for Jubail and Yanbu and said it was proud to be associated with the Jubail project, the world’s largest single industrial development scheme. 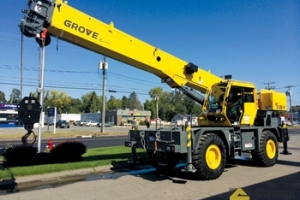 YBA Kanoo, Manitowoc’s Saudi distributor, showcased the US firm’s Grove Rough Terrain crane range to over 70 customers at an Open Day event in the eastern city of Dammam. It was the first time Kanoo had presented almost the entire Grove Rough Terrain crane range at an event in the Middle East. Thousands of small and medium enterprises (SMEs) will be able to tender for opportunities in projects related to Expo 2020 in Dubai. The development follows the signing of a memorandum of understanding (MoU) with Expo 2020 Dubai by Dubai SME and Tejari, the strategic procurement company. Tunnelling work for Riyadh Metro’s Line 5 (Green Line), which is being constructed by the FAST Consortium, was completed last month. 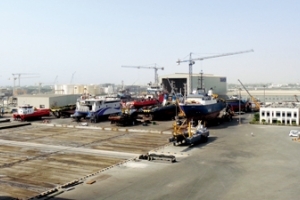 Damen Shipyards Sharjah (DSSh) was presented with a prize for Best Newbuilding Yard at a ceremony in Dubai. The recognition came from the International Maritime Awards held at the two-day Shiptek 2016 conference in Dubai. DSSh is a joint venture between the Damen Shipyards Group and Albwardy Investment. 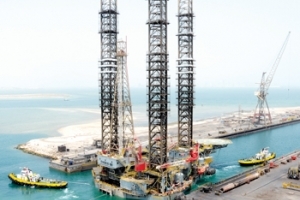 Asry, a Bahrain-based leading ship and rig repair yard, has kicked off a comprehensive safety campaign aimed at integrating a new safety culture into the workforce and modernize yard-wide safety protocols and procedures. 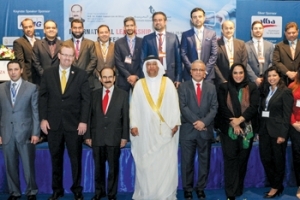 UAE-based Al Shirawi Group, which has interests in manufacturing and packaging among other sectors, has been honoured by the Emirates Environmental Group with the prestigious waste management award. The conglomerate also won the first runners-up accolade in the mobile phone collection category. The Dubai Electricity and Water Authority (Dewa) has signed a power purchase agreement (PPA) and a shareholders deal with the ACWA Power and Harbin Electric consortium for a clean coal project. Decommissioned solar panels represent a significant untapped business opportunity, a new report says. The report was released by UAE-headquartered International Renewable Energy Agency (Irena) and the International Energy Agency’s Photovoltaic Power Systems Programme (IEA-PVPS). Emirates Global Aluminium (EGA) will launch the first phase of construction of its bauxite mine in Guinea following final approval it received from its board of directors. The new mine will be managed through its subsidiary Guinea Alumina Corporation (GAC). 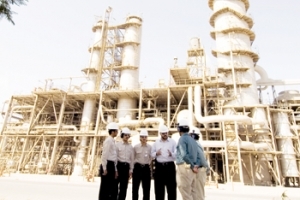 Jacobs wins Sahara deal JACOBS Engineering Group has won a three-year contract from Saudi Arabia-based Sahara Petrochemicals (Sahara) to provide general engineering services at its Jubail Industrial City facilities. Jacobs is a leading global provider of technical, professional and construction services.